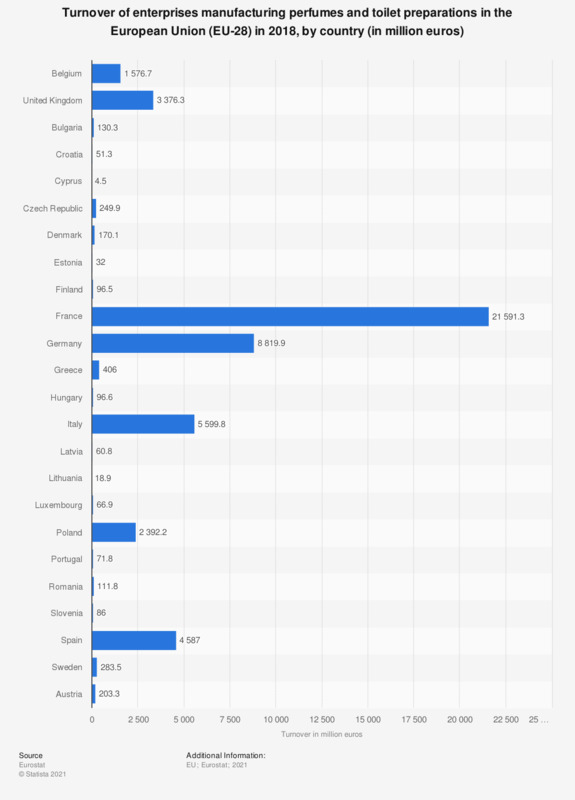 This statistic shows the annual turnover of enterprises for the manufacture of perfumes and toilet preparations in the European Union (EU-28) by country in 2015. Manufacturers in France generated the highest turnover in the EU at almost 18 billion euros, followed by Germany at 6.3 billion euros. Structural business statistics (SBS) describes the structure, conduct and performance of economic activities, down to the most detailed activity level. Data coverage corresponds to section C2042 of NACE Rev. 2.